Roundup, Parasites, and Fish, oh my! It takes a team from New Zealand to figure out that the US has its pesticide regulation wrong: toxins don’t act in the wild as they do in the carefully controlled and designed lab dosings. Sounds reasonable, right? Well, a recent article in the Journal of Applied Ecology by Kelly et al. was the first to describe Roundup’s ability to act synergistically with a parasitic worm. Commercial formulations of Roundup, the most commonly used herbicide in the world, were found to increase the production of a parasitic worm’s (Telogaster opisthorchis) while at the same time decreasing a fish’s (Galaxias anomalus) immune system’s ability to fend off the parasite. The authors confess that the cause and effect relationship of the synergy is unclear: the toxins may act as an immunosuppressant or the parasites may weaken the host fish’s ability to tolerate toxins. Or some combination of both, as the findings from the study suggest. Because the increase in mortality and morbidity in the fish population was more than additive, there is strong evidence that the two kinds of stressors interact in a multilateral kind of way. In fact, mortality did not significantly decrease until both stressors were in place. Trematode load increased with dose of Roundup present, suggesting there may still be a threshold below which there are no observable effects of the use of Roundup. However, the 3.8 mg/L dose that allowed double the trematode load per fish was still below the legal limit in both the US and New Zealand. In fact, it is below the “no observable effect level” in the US, suggesting that the level toward which regulation should be aimed is a moving target. In the discussion of their findings, they suggest that the regulatory implications of their findings are even more dire than at first glance. The timing of Roundup uses in fields corresponds to the period of larval fish emergence. This life stage is when the fish are most susceptible to parasite infection. 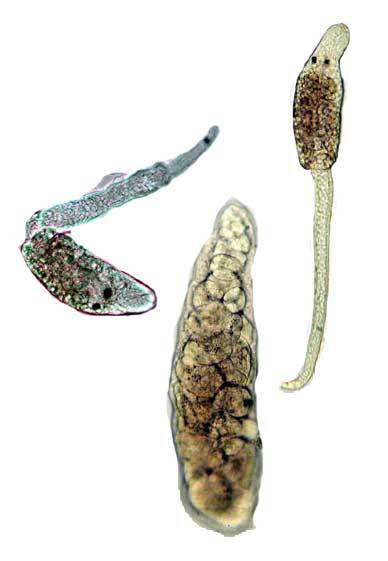 These parasites are almost ubiquitous in freshwater systems, so increased susceptibility almost certainly means increased trematode load and consequent spinal deformities and mortality. Overall, the authors conclude that the regulatory system does not adequately protect aquatic systems. The threshold level system of regulation is particularly problematic, as there may be no single threshold for a chemical across the board. That threshold, if it exists at all, is entirely context specific and depends on the presence of parasites, disease, and other environmental stressors that may all interact with the effects of the original toxin in a way that makes it more lethal.